While legislators and the president wrangled about the government shutdown, some employees who were living without paychecks got desperate. We’d bet most gainfully-employed people would have a hard time imagining a trip to a food bank to feed their families. But it happened to some federal workers. While the record shutdown may be over, the financial pain felt by these families isn’t. Workers don’t yet know exactly when they will get their back pay. Plus, fear of another shutdown persists because no one knows what will happen after the agreed-upon three weeks of funding comes to an end. Losing your paycheck is never easy, whatever the circumstances. When the paychecks stop, where can you find money? Of course, we’d rather everyone had an emergency fund worth three to six months of expenses, but not everyone has that kind of cushion. So straight up: Most of these options aren’t pretty, and they won’t all be available to everyone. They can be expensive and have substantial, long-term negative effects on your financial security, so we’d never recommend them unless you’re without options. Before you try any of these ideas, first contact all your creditors, tell them your situation and see how they’ll work with you. Then, at least, you’ll know where you stand. Here are some places to find cash if you’re absolutely, positively desperate and your income stream has stopped short. If you’re no longer employed, you’ve probably lost the option to borrow from your 401(k) or other retirement plan. If this is an option for you, don’t do it lightly. You will have to pay back the funds – ironically, usually through payroll deductions – otherwise it will cost you a 10 percent penalty and you’ll owe income taxes on the amount you don’t repay. Taking a withdrawal is another choice, and one that may be tempting if you’re out of a job. But unless you’re 59 ½, you’ll have to pay that 10 percent penalty and taxes on the amount withdrawn. And you’ll eat into the nest egg you were planning to use to support your retirement lifestyle. Depending on your circumstances, you might qualify for a so-called hardship withdrawal – which could save you that 10 percent penalty – but this also won’t work for everyone. To learn more about hardship withdrawals, see what the IRS has to say, and be sure to speak to your tax advisor so you know see how this would affect your tax situation. If you have certain kinds of permanent life insurance life insurance policies, you may be able to tap your cash value – the investment component of the policy – by borrowing against it. Term life insurance, which is pure insurance without an investment component, doesn’t offer this kind of option. The specifics depend on the kind of permanent policy you have, but generally, you may be able to take a loan against the cash value – a loan that never needs to be paid back. If you don’t pay it back, your beneficiaries simply won’t get the cash value when they receive the policy’s death benefit. You probably have a few credit cards in your wallet, and you can always charge what you need to spend. But you’ll be faced with pretty high interest rates, depending on the card, and you’ll need to pay back at least the minimum every month. 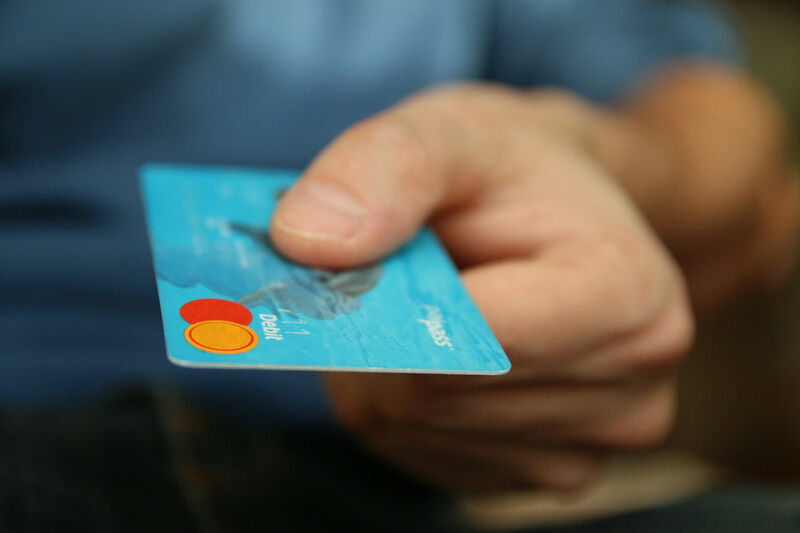 One disadvantage is that it’s possible not all of your creditors will accept a credit card payment. If that’s the case, your card may allow you to take a cash advance. This usually comes at a higher interest rate and with additional fees. We have to say again, only rely on credit cards if you’re desperate. Credit card bills, when you’re only paying the minimum, can build very quickly. You’ll eventually need to pay it back, so plan carefully. If your cards are already at their limits, applying for new credit may not be easy. Lenders will take a look at your credit history and see you’ve maxed out your cards, so you may or may not qualify for new credit. Though you should always look for zero percent offers first, your new financial situation may make you an unattractive risk to lenders. If you do qualify for new credit, you can expect high interest rates and further dings to your credit score. That’s because you’ll probably hike up your credit utilization ratio – a ratio of your available credit to your outstanding balances – which will also hurt your score. Learn more about how to raise your credit score here. If you have equity in your home, you can take out a home equity line of credit (HELOC) or home equity loan against your residence. Interest rates on this kind of borrowing are generally far better than credit cards. If you borrow against your home, you’ll have to make monthly payments to the bank – otherwise you’ll put your home at risk, something you certainly don’t need right now. Another big negative here is that it will take time for a bank to approve you for such a loan – as short as 10 days but more commonly closer to two months – so you’ll have to plan ahead to make this work for you. Another option is to approach the banks and credit unions you do business with for a personal loan. Some institutions are offering attractive terms to those affected by the government shutdown, but for most people, the terms will be based on your overall financial situation. Because personal loans don’t use any collateral (like your home for a home loan or a vehicle for a car loan), you can expect to pay a higher interest rate than for other borrowing. Also remember you’ll have to make the payments so you don’t default on the loan, so don’t take on more than you can afford. 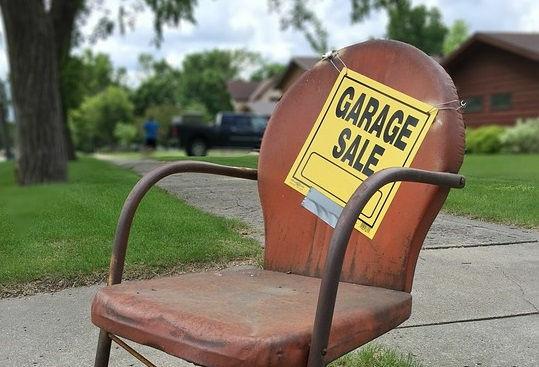 We know this isn’t great weather for a yard sale, but you can look online for different marketplaces where you can list items for sale. Check out social media, too. Consider getting rid of more than the little things, like clothes or toys you no longer need, but think big. If you no longer need your car, consider selling. If your basement is full of extra furniture, show off your wares. And if you no longer need pricey items such as the china and crystal you received for your wedding, start looking for potential buyers. We know this is an uncertain kind of way to make money, but if you have time on your hands and stuff in your house, it’s worth a try. Kill your subscriptions. From cable television, Netflix and Hulu to subscriptions for publications, music services and other items, you can simply live without them. Dining out: Even if you eat out on the cheap, it will always be more expensive that preparing food and drinks yourself. Insurance: We don’t want you to cancel your health, car or homeowner’s insurance, but call your carrier to see if there are ways to save by cutting back on certain coverages that may not be necessary. College: If you owe college payments, contact the school’s financial aid office and explain your change in circumstances. The college may be able to work with you to arrange more favorable payments, or your student might qualify for more aid. If you’re unable to pay your bills, consider asking a relative for a loan, or even for an advance on your inheritance. We know that asking Dad or Grandma or even Aunt Sue for money is fraught with issues. You don’t want them to judge you. You don’t want them to bother you about a payback schedule. You don’t want them to say no. We can’t say it enough: None of these borrowing options is ideal. Most are very expensive and can lead to additional money problems for you down the road. But when you’re absolutely, positively desperate, they may be your only alternatives. Dear readers, if you have additional ideas, or if you can share your success stories in hard times, please share them in the comments section. This entry was posted on February 1, 2019. Bookmark the permalink.